NOTE: Free registration for every fifth person from the same institution. Please contact us for further details. 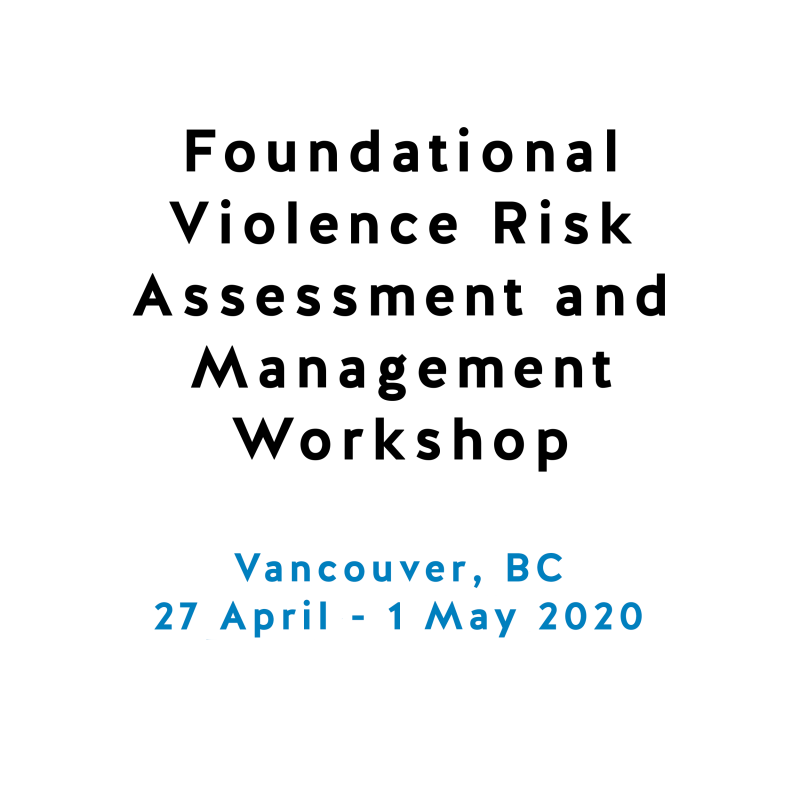 This workshop will provide an opportunity to learn new skills and build on existing skills in assessing and managing risk for violence. 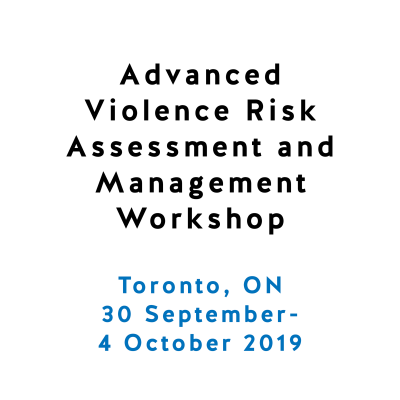 Not only will you learn about general violence risk assessment and management principles focusing on the most common forms of violence, but also about best practices supported by researchers and practitioners around the world. Successful completion will be recognized with a certificate. The specific tools you will learn to administer include the new versions of the HCR-20 and SARA, as well as the B-SAFER and SAM. 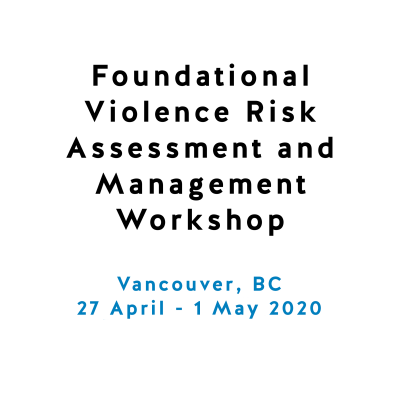 All of these tools are structured and evidence-based and amongst the most widely used procedures for assessing and managing violence risk. Thousands of professionals from hundreds of settings across the world have taken part in our workshops to date and the procedures developed by our Threat Assessment Specialists are among the most widely used in the field. 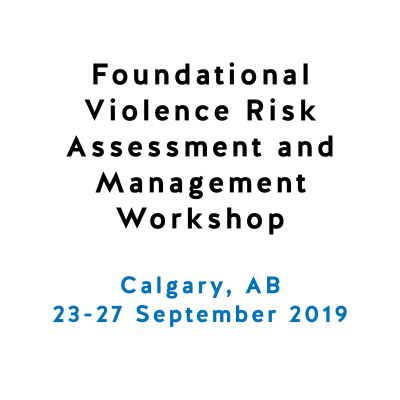 Our Violence Risk Assessment and Management Workshops are the only ones in this field that have been subjected to systematic empirical research and evaluations indicate that the vast majority of participants recommend our workshops. 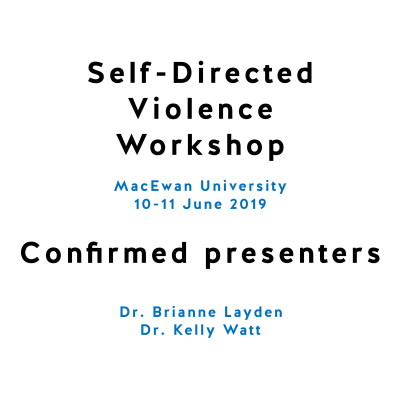 The workshop will be facilitated by one or more of Protect International’s Threat Assessment Specialists, who include Drs. Stephen Hart, Kelly Watt, Randy Kropp, Kevin Douglas and Brianne Layden.